Local Media Outdoor Advertising is one of the most cost efficient, effective and consistent forms of advertising available to your business in Georgia. 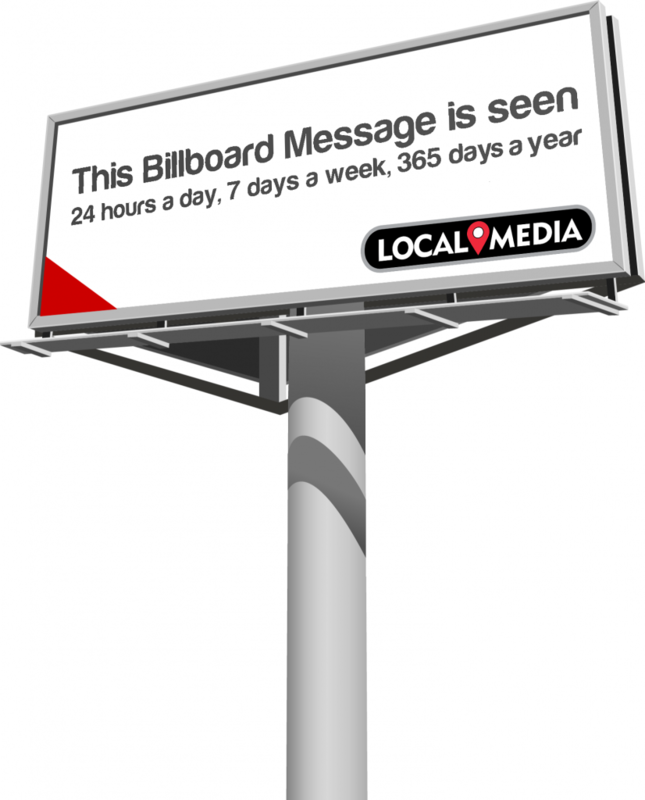 86% of Americans agree that Billboard advertising provides resonance and credibility for brands. Studies have shown that Billboards not only work alone, but also improve the effectiveness of other forms of advertising. Billboard advertising is ideal for providing directions, brand awareness, product introductions and business familiarity. Let's get started building your campagin! Whether you're marketing your business to an affluent suburb or bringing your products to a small hometown, you're sure to find a location that reaches your ideal customers. Ready to cut through the advertising clutter to increase your sales and profits? Learn more about the proven effectiveness of billboard advertising and the ways it can work for you! Not sure how to plan your billboard advertising campaign? Looking for information about the communities where our billboards are located? Need some ideas and inspiration? Start here!